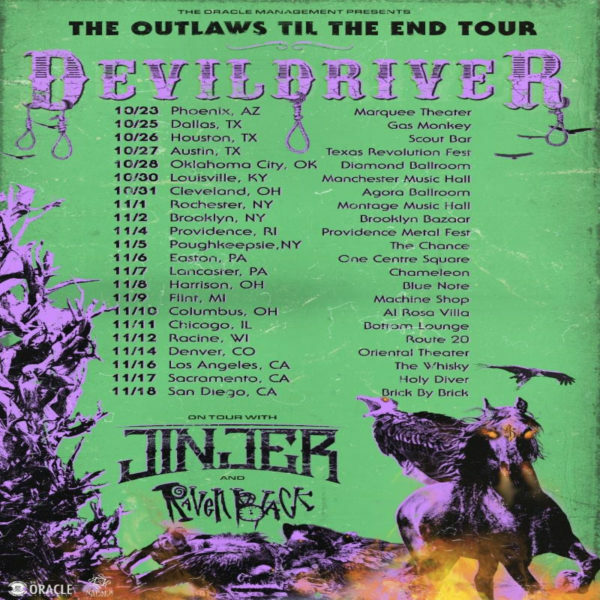 California metal band DevilDriver are embarking on a fall tour to promote their latest album, Outlaws ‘Til The End: Vol. 1. The U.S. tour kicks off October 23 and includes supporting acts Jinjer and Raven Black. Released in July via Napalm records, the new album is a cover album. Featuring outlaw country music with an ear splitting twist. See tour dates below. After landing on the #2 spot on the Top Hard Music Albums charts upon release, Outlaws ‘Til The End Vol. 1 has reached #1 on the Loud Rock radio charts. Some prominent figures from the metal and punk community join forces with legendary country acts to remake the classic country songs. Glenn Danzig, Randy Blythe and Mark Morton from Lamb of God, and Fear’s Lee Ving contribute to Outlaws ‘Til End: Vol. 1. Additionally, John Carter Cash, Ana Cristina Cash and Hank Williams III appear on the album. 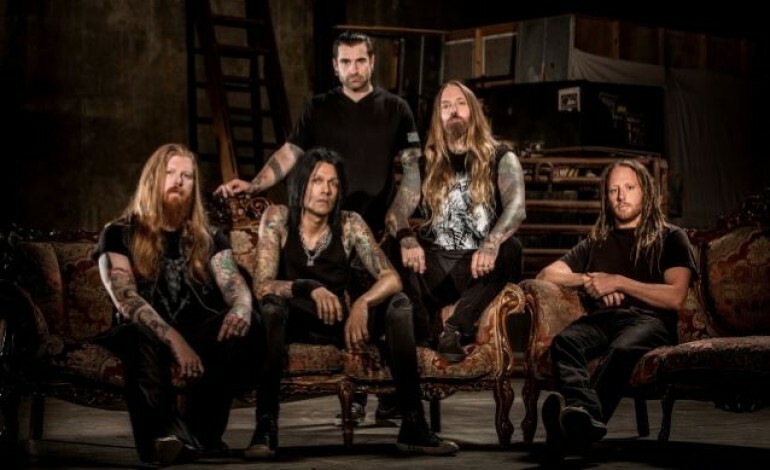 After forming in 2002, suffering through lineup and name changes, frontman Dez Fafara is the only original member remaining in DevilDriver. Current members include Mike Spreitzer (guitar), Neal Tiemann (guitar), Diego Ibarra (bass) and Austin D’Amond (drums). Outlaws ‘Til The End: Vol. 1 is the follow up to DevilDriver’s 20016 release, Trust No One. Find more tour info and available merchandise bundles here.